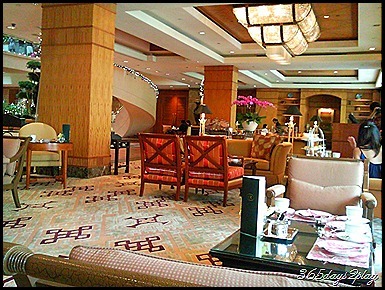 One of my favourite places to have English high tea is at the Lobby Lounge of Regent Hotel. The place is really quiet on weekdays and I managed to get a sofa seat even though there were only 2 of us. Hardly anyone walks past this area because it’s not near the reception area, so it’s suitably secluded for a peaceful afternoon. 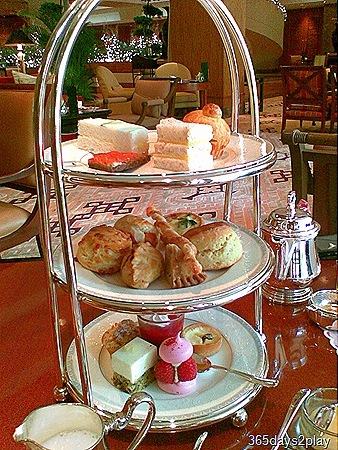 For $36, they will serve you their standard afternoon tea items on a 3-tiered stand. Although you cannot choose what items go into the stand, I’ve been there twice and had no complaints. On our second visit (picture attached), the top tier consisted of the light items like salmon slice, egg sandwiches. 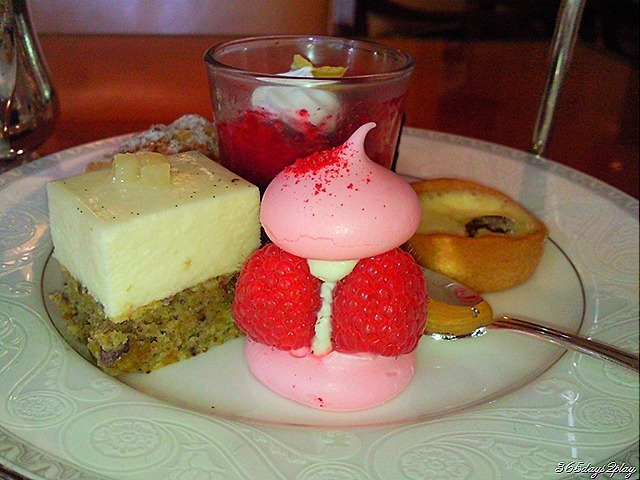 The middle tier was my favourite because of all the savoury pastries like meat pie and cheese scones. Also included in the set is free flow of coffee, tea (various types) or iced-chocolate. 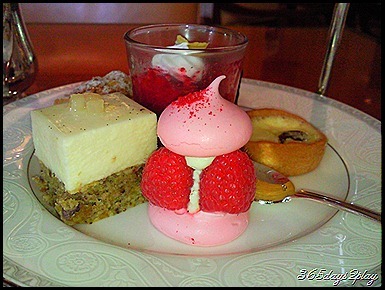 The items on the 3-tiered stand may not look like much especially when compared to a buffet afternoon tea, however we were extremely full after sharing 1 set plus an addition order of free-flow iced-chocolate for $12. 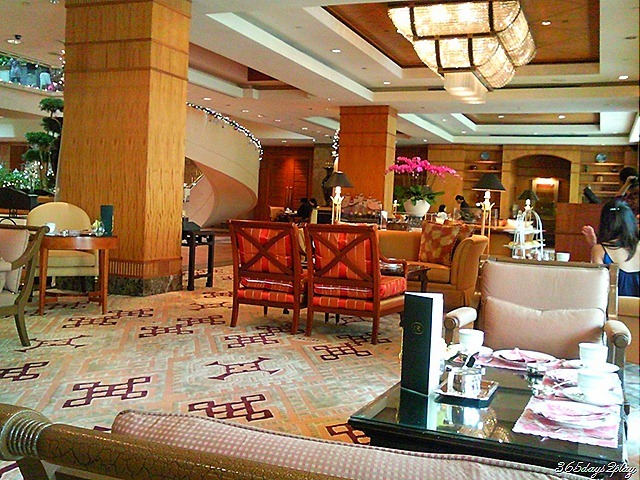 Oh, one thing very special about the Regent Hotel Lobby Lounge? As far as I know, it is one of the few places, if not only place in Singapore, that serves afternoon tea with CLOTTED CREAM! Imagine that! There are 2 types of seats to choose. If you choose the sofa seats, you have to contend with eating from a low table. This is not a problem if you plan to while the time away slowly, savouring every minute. There are also table seats, which facilitates eating. But of course this means you have no sofa to sink into after you have overloaded on the food. In my opinion, the best table seat there is is the one in the corner next to the bookshelves. From that vantage point, you are able to watch the world go by from a distance without being disturbed yourself. This angle was also where we took all our pictures. Do make your reservation in advance, especially on the weekends or you might be relegated to the “Foyer tables”. Those are the tables literally along the corridors, beyond the carpeted area!